John Randolph Foundation awarded its latest grants on Thursday, July 20th in front of a crowd of 125 partners, donors, and grant recipients. Responsive grants from the Foundation’s Mission Fund were awarded to 17 nonprofits totaling $403,369. The Foundation also awarded grants from endowment funds to eight organizations totaling $123,090, and finally two local educator awards totaling $4,000. As the Tri-Cities area’s only community foundation, John Randolph helps donors create enduring investments and currently manages nine endowments, 60 scholarships, and three educator award programs. *Grant provided in part or in whole through an endowment, a permanent fund created by a donor. Read more about John Randolph’s recent award announcements here. Reflecting the organization’s focus on helping transform the broad continuum of education in the Richmond region, Robins Foundation selected 12 local nonprofits to share in nearly $1 million in grants designed to improve educational outcomes for children in the Greater Richmond area. Read more about their recent grant announcements here. TCF and its partners awarded $24M in grants through June 30th in 2017. The majority of grantmaking from The Community Foundation is done at the direction of donors who chose to partner with them on their philanthropy. TCF is privileged to work with hundreds of individuals, families and businesses who enjoy the opportunity to focus on how they want to make a difference, while TCF takes care of the administrative details. Their collective generosity has resulted in $18 million in donor-directed grants for a variety of causes so far, this year! 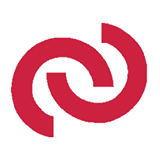 Through June 30th, The Community Foundation and its funding partners – including the Jenkins Foundation, Pauley Family Foundation and REB Foundation – awarded $6 million in competitive grants. These are grants provided through an application process to support initiatives that address important community issues and build the capacity of organizations and their leaders. For a full list of the Competitive Grant Awards in TCF’s 4 Focus areas of Cultural Vibrancy, Economic Prosperity, Educational Success and Health and Wellness go here. The Cameron Foundation’s Board recently approved new grants totaling $1,421,406 to benefit residents of the Tri-Cities area. The funding supports the work of 25 organizations providing services across the region. The awards result from the first of the Foundation’s two annual responsive grant cycles, with the second cycle concluding in October. Among the larger awards this cycle, the Foundation approved $105,000 in renewal funding to Local Initiatives Support Corporation (LISC) Virginia for its ongoing work to stimulate economic development in the City of Petersburg. You can read more about the initiatives Cameron is supporting here. Richmond Memorial Health Foundation (RMHF) announced $259,000 in grants to 13 nonprofits in the Richmond region. The spring cycle brings total grants and awards by RMHF to $1,697,318 for the 2017 Fiscal Year, which began on July 1, 2016. RMHF’s Spring 2017 Grantmaking Cycle is designed to give nonprofit leaders in the Richmond region the resources to consider strategic questions confronting their organizations. In keeping with the Strategic Framework adopted last year, RMHF Trustees’ decisions were guided by each applicant’s alignment with the Foundation’s mission of fostering an equitable and healthy Richmond region. Trustees also gave priority to organizations working in the oral and behavioral health fields, as well as those serving new populations, such as immigrants and refugees, who face significant barriers to basic health care. Daily Planet – $25,000 to address strategic questions surrounding capacity needed to provide oral health care to Hispanic patients and pregnant women. Sacred Heart Center – $25,000 to develop a strategic plan for improving outreach and communication in its role as a community hub providing services for the growing immigrant population that include hosting a medical clinic and food bank, and offering parenting classes that support good health. Virginia Supportive Housing – $25,000 for development of a multi-year sustainability plan guiding training, capacity and systems to support a Medicaid reimbursement model for services. Voices for Virginia’s Children – $25,000 to strengthen the organization’s communications capacity to increase public awareness statewide and ensure effective advocacy for children’s behavioral health services. YWCA Richmond – $25,000 to develop a master plan guiding the organization’s capacity needs in response to expanding programs and growth in the number of clients and staff. Goochland Free Clinic and Family Services – $20,000 to guide staff communications and development strategies aimed at ensuring a smooth transition from a group of separate locations to one common facility. Health Brigade – $20,000 for a facilitated exploration of how to best serve the older adult LGBTQ population in the Richmond Region. Armstrong Priorities Freshman Academy – $15,000 to support a behavioral specialist in a pilot program that could serve as a model for classroom management in other high schools. Family Lifeline – $15,000 to explore diversification of program-generated income, an issue identified in the organization’s strategic business planning process. Gateway Homes – $15,000 to improve efficiencies in reimbursements for behavioral health services and to ensure that procedures remain up to date in response to changes in Medicaid policies. Central Virginia Health Services – $14,000 to train behavioral health staff to ensure a consistent and effective approach to behavior management for all patients. Virginia Dental Association Foundation – $10,000 for development of a strategic communications strategy to strengthen education on the need for dental care and oral health, and to improve collaboration with program partners to build capacity. 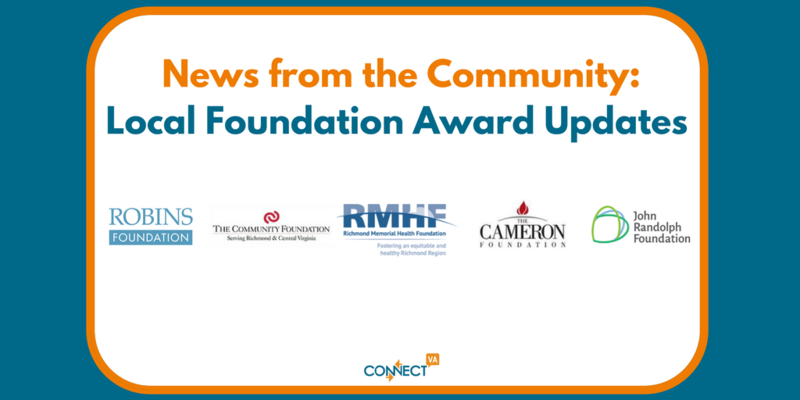 Read more about Richmond Memorial Health Foundation’s Grant Announcements here. Check out ConnectVA’s Funding Resources page to learn about local funders, funding databases and charity registries and evaluators and subscribe to our Community Discussion Forum “Grants and Funding Opportunities” to get the latest updates on grant, sponsorship, scholarship, fundraising and other funding opportunities, announcements and deadlines for nonprofits.